Men demonstrate at the Pride Parade June 10. Many Whitman students attended the event to show their support for Whitman's LGBTQ+ community. Photo by Mira Dwyer. A sea of rainbow flooded the streets of D.C. as thousands attended the Capital Pride Parade June 10 and the Equality March for Unity and Pride June 11 in support of the LGBTQ+ community. During the month of June, Pride Month, activists across the nation hold pride parades to celebrate the LGBTQ+ community each year. There were about 100 supporting pride parades across the country this past weekend. 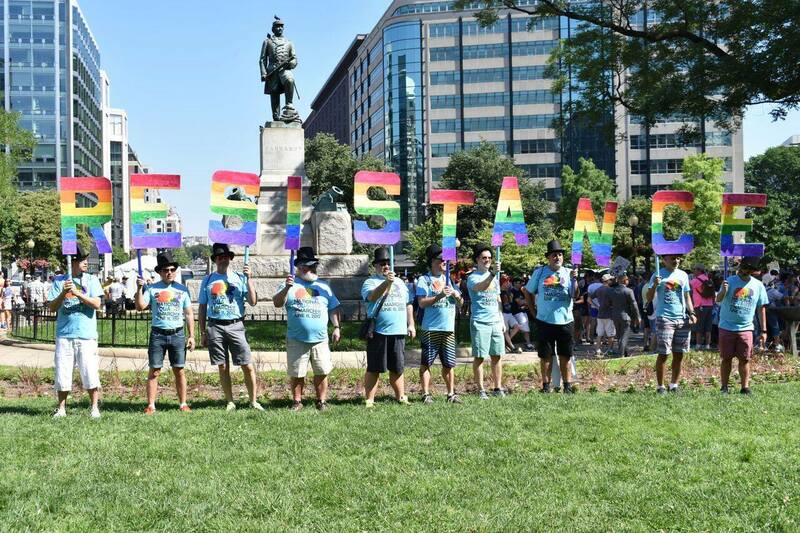 In addition to this year’s Capital Pride Parade, protesters demonstrated in a new civil rights march–the Equity March for Unity and Pride–to denounce the current political administration’s views on LGBTQ+ rights. Protesters marched around the White House carrying signs and chanting for equality. Many students attended the events, dressing in bright colors and carrying signs to show their support. The event also welcomed students who don’t identify as LGBTQ+ but wanted to show alliance with the cause. 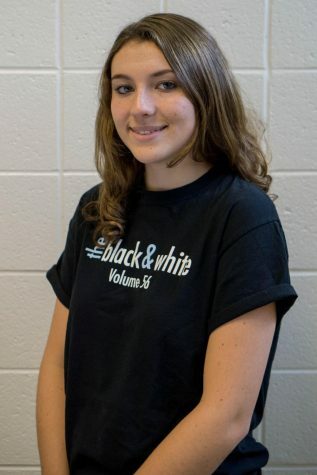 “The march really brought people together and made the LGBTQ[+] community feel welcomed,” junior Katia Goldberg said. Students said the strong Whitman turnout at the event excited many who identify as LGBTQ+ because it signified the welcoming community around them. Whitman’s Pride Alliance got involved by holding an event June 2 to tie dye shirts for the demonstrations. Next year, the Pride Alliance plans to be more active by assisting a new LGBTQ+ charity each month, Zeidenberg said. The Capital Pride Parade fostered a very positive environment, and everyone genuinely wanted to be there, Goodfriend said. Participants showcased their individuality at the Parade and March, allowing everyone to feel comfortable in their own skin, he said. I think the gay community has been treated fairly. This is sort of like another black lives matter movement. Idk why fight for more but nothing happens so deal with it.